Club Sports are an exciting option for students who want to learn a new sport or continue to test themselves in a competitive environment. Participation in the UMBC Club Sports program is open to all UMBC students. Clubs encourage new members, including those with little or no experience. Joining a Club Sport is a great way to refine skills. Members will not only get to engage other students, but also interact with experienced staff and coaches in settings far removed from the classroom. The objective of the Club Sport program is the development of successful and quality teams, which focus on enhancing the college experience through teamwork, leadership, sportsmanship, and diversity, while supporting a healthy lifestyle. 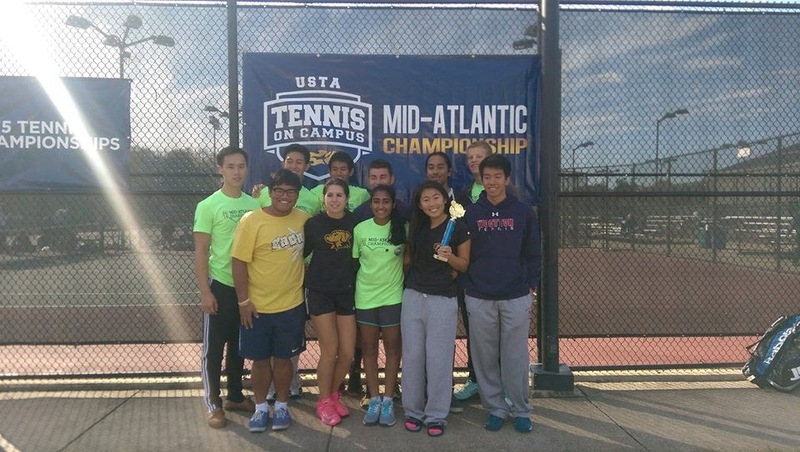 UMBC Club Sports does more than provide recreational and competitive activities. Students are active participants in the management of their programs as well. From scheduling and creating by-laws, to managing finances, students take on major leadership roles in making the UMBC Club Sports program successful while working closely with university officials, faculty, and the recreation staff. The Club Sports Council, comprised of representatives from each club sport, provides additional opportunities to develop leadership skills. Recently, members of club teams have been actively involved in local community service, UMBC Green Dot, and fundraising for charitable organizations. While some Club Sports practice informally once or twice a week, others seek to compete at the regional or national level. Certified instructors and coaches work with these clubs to hone skills and build competitive teams. Through competition, participants will meet students from a wide range of colleges and universities while challenging their abilities. UMBC’s ice hockey club regularly plays teams from Penn State, Virginia Tech, Delaware, and Georgetown. The women’s rugby club has competed against Penn State and the United States Naval Academy. Participation in Club Sports may also provide opportunities for travel. The UMBC crew club has competed in regattas from the Head of the Charles in Boston to Dad’s Vail in Philadelphia. The UMBC sailing club races in events ranging from King’s Point in New York to Charleston Harbor. In spring, the men’s and women’s volleyball clubs compete in the national tournament in locations like Reno, Nevada and Dallas, Texas, and the UMBC’s wrestling club has hit the mats to compete in National Collegiate Wrestling Association Tournament. This past spring break, UMBC Equestrian competed at their annual 2019 IHSA Regional Championship Horse Show, which was held at Other Left Farm in Gaithersburg, Maryland. Our Equestrian team, led by Sophomore Maya Scheirer (President), Senior Stacey Wells, and Senior Erica Haschert (co-captains), had a very strong showing at the Regional Championship, bringing a total of 8 riders – the most we’ve had in recent years. This was a huge improvement from even just a year ago, where we had 3 riders competing at this event. Co-Captain Wells placed 2nd Over Fences and 1st Under Saddle in the Novice division, which qualified her for Zones in both categories, making her the first rider from UMBC to earn the opportunity to compete at Zone Finals. Co-Captain Haschert placed 6th Under Saddle in the Intermediate division, making her the first UMBC rider to qualify for the Open Division, which is considered the highest division. Freshman Mora Gold, placed 5th Under Saddle in the Advanced Walk-Trot-Canter division. Riders Miriam Newman-Marshall, Divya Singh, Tamar Kiewe, Lauren Pomroy, and Emily Peck rounded out the day with fantastic rides in their divisions. The team’s final competition was IHSA Zone Finals held at The Barracks Farm in Charlottesville, Virginia, on April 6, 2019, where all of the top qualifiers from North Carolina, Virginia, Delaware, New Jersey, Pennsylvania, and Maryland competed for a chance to go to Nationals. Wells placed third Over Fences, one placing below the first or second place needed to qualify for Nationals, and tenth Under Saddle in the Novice Division. Led by the athletics, club sports and recreation programs, UMBC partnered with The Salvation Army’s Angel Tree Program to bring holiday joy to Baltimore-area children. The 2018 Angel Tree program, sponsored locally by WBAL-TV, provides new clothing and toys for children of families in need during the holiday season. The following groups participated in this year’s program: UMBC’s 23-team club sport program, UMBC Recreation, Retriever varsity women’s lacrosse and volleyball, Retriever Athletics full-time staff, The Oak View Group (management group of The UMBC Event Center), UMBC Division of Student Affairs and the UMBC President’s Office. 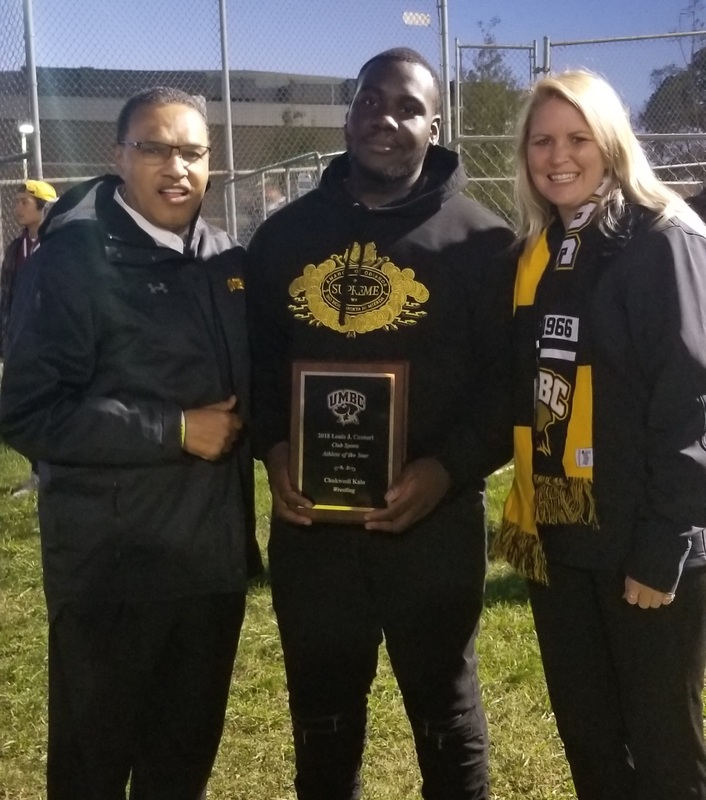 The student groups – club sports programs, UMBC Recreation program and the two varsity teams – each received one “angel”, a child ranging in age from 18 months to 11 years old and the programs were responsible for procuring gifts for those children. The teams raised $1,500.00 in toys and clothes for those 27 angels. In a new endeavor, the other groups listed above adopted 14 families and raised over $4,200.00 in food, toys and clothes for the those families. In its second year of working with the program, UMBC donated over $5,700.00, more than triple the amount that was raised in 2017. Kristen Alexander, assistant director, club sports, coordinated UMBC’s campus efforts. The Salvation Army’s Angel Tree program provides new clothing and toys for children of families in need through the support of donors like you. Found in local malls, companies and churches, Angel Trees are decorated with numbered paper angel tags with the first name, age and gender of a child in need of gifts. Contributors remove one or more tags from the tree and purchase appropriate gifts for the child or children described on the tags. For the past 11 years, the Cantori Family has been invited back to campus for the Louis J. Cantori Club Sports Athlete of the Year Award, an award presented annually to a student who participates in club sports and is an outstanding scholar-athlete. This award is presented annually during the Men’s Soccer Homecoming game. Chukwudi “Chuck” Kalu is currently a sophomore majoring in biological sciences here at UMBC. Last year, as a freshman, Chuck had the most impressive season at the heavyweight class in the 15-year history of UMBC Club Wrestling. Chuck set the heavyweight single season record for wins and winning percentage at 29-11 (0.725), and was the school’s first All-American in the heavyweight class, earning 7th place at the 2018 NCWA Nationals in Allen, Texas. Chuck is also a high achiever in the classroom, majoring in biology at UMBC while earning a 4.0 GPA last year as well as Academic All-American honors. We look forward to seeing Chuck’s continued leadership on the mat and in the classroom throughout his Retriever career! Every year, UMBC recognizes two exceptional “Academically Talented Transfer Students” to speak to prospective transfer students in order to showcase some of our most academically successful, and well-rounded students. This year, UMBC chose Nicole Couturier, senior, as one of the students to share her personal journey. Nicole Couturier transferred to UMBC in the 2015-2016 academic school year while pursuing a chemical engineering degree and balancing her involvement in several student life organizations, including the Society of Professional Hispanic Engineers, the Hispanic/Latino Student Union, the Global Brigades, and the Women’s Club Volleyball Team. By involving herself in many different activities, Couturier felt that she was better able to balance out her busy schedule and feel a sense of community and belonging, unlike the age-old cliché of choosing either academic success or social success. Couturier credits some of her success to the MARC U*STAR (Maximizing Access to Research Careers Undergraduate Student Training in Academic Research) program offered at UMBC, noting that “it provided her with the chance to conduct research in a field she is passionate about, and has been a great guide towards her future aspirations”. She has been able to work in many impressive areas, including the UMBC immunology lab under Dr. Gregory Szeto, with a biomedical engineering team at Cornell, and she is planning to pursue a Ph.D. in biomedical engineering after graduation. Some other student life activities that Couturier took part in included involvement in a service project trip to Nicaragua with the Global Brigades, and travelling to Nationals for three consecutive years with the Women’s Club Volleyball team. The UMBC Club Sports Program is very proud of Nicole’s accomplishments and we look forward to seeing what the future holds for her. teammates and Shell Wood of USTA Mid-Atlantic. Campus has grown significantly and today is played on more than 700 college campuses. and healthy lifestyles through their college years.